The protection of your personal data is very important to me. Therefore I process your data exclusively on the basis of the legal regulations (DSGVO, TKG 2003). In this privacy statement I inform you about the most important aspects of data processing within my websites. If you contact me by means of a form on the website or by e-mail, your data will be saved for the purpose of processing the request and in case of follow-up questions. I will not share this information without your consent. Disabling cookies may limit the functionality of my sites. My website uses features of the web analytics service Google Analytics. For this purpose, cookies are used that allow an analysis of the use of the website by your users. The information generated thereby is transmitted to the server of the provider and stored there. Google Analytics is a product of Google LLC, Mountain View, California 94043, USA. Google LLC is certified under the Privacy Shield Agreement, guaranteeing compliance with European data protection law. Maps are embedded through the Google Maps Web service provided by Google LLC, Mountain View, California 94043, USA. Fonts from the provider Google LLC, Mountain View, California 94043, USA, are partially integrated. To detect automated submissions to online forms, I include the product ReCaptcha from Google LLC, Mountain View, California 94043, USA. You have the opportunity to subscribe to my newsletter via my websites. For this, I need your e-mail address and your declaration that you agree with the subscription to the newsletter. In order to provide you with information in a targeted manner, I also collect and process information voluntarily provided, for example on areas of interest and postal code. Once you have subscribed to the newsletter, I will send you a confirmation email with a link to confirm the registration. You can cancel the subscription to the newsletter at any time. Please send your cancellation to the following e-mail address: office@vetromagic.at. I will then delete your data immediately in connection with the newsletter dispatch. The shipping service provider is based on my legitimate interests gem. Art. 6 para. 1 lit. f DSGVO and a contract processing agreement acc. Art. 28 (3) sentence 1 DSGVO. The shipping service provider may use the recipient’s data in pseudonymous form to optimize or improve their own services, e.g. for the technical optimization of shipping and the presentation of newsletters or for statistical purposes. However, the shipping service provider does not use the data of our newsletter recipients to write them down or to pass this data on to third parties. As part of my general administrative duties, compliance with legal obligations and the organization of my business, I process the same data that I process in the course of the performance of my contractual services. The legal basis for this is Article 6 para. 1 lit. c. DSGVO, Art. 6 para. 1 lit. f. DSGVO. This affects both customers, prospects, business partners and website visitors. I submit invoice data to my tax adviser and, if necessary, to the tax authorities and debt collection agencies. Based on my business interests, I store contact information about suppliers and other business partners for the purpose of possible later contact. I generally store company-related data permanently. The deletion of the data with regard to my services and the contractual communication takes place after the expiration of the taxable retention period (7 years) or the expiration of the product liability (10 years). Based on my legitimate interests within the meaning of Art. 6 para. 1 lit. f. DSGVO I log every access to the servers that operate our services within sg server log files. These include the retrieved URL, the date and time of the retrieval, the amount of data transferred, the status of the transfer, the name of the browser including the version name, the operating system used, the previously visited URL and the visitor’s IP address. This information is stored for a maximum of 7 days eg for the purpose of clarifying hacking or misuse for security reasons and then deleted. If further retention is required, they will be archived until the final clarification of the incident. I point out that for the purpose of easier shopping and subsequent contract processing by the web shop operator in the context of cookies, the IP data of the connection owner are stored, as well as the name and address and possibly the delivery address of the buyer. In addition, the course of the ordered goods is stored with me for the purpose of contract execution. The data provided by you are required to fulfill the contract or to carry out pre-contractual measures. Without this data I can not conclude the contract with you. A transfer of data to third parties does not take place, with the exception of the transmission of the credit card / paypal data to the processing bank / payment service provider for the purpose of debiting the purchase price. To the transport company / shipping company commissioned by me to deliver the goods. In addition, the shipping company / shipping company will be provided with the name, shipping address and telephone number and e-mail address (if contacting is required in the course of shipment). As well as my tax advisor to fulfill my tax obligations. After aborting the shopping process, the data stored in my account will be deleted. In the case of a contract, all data from the contractual relationship are stored until the expiry of the tax retention period (7 years). Der Schutz Ihrer persönlichen Daten ist mir ein besonderes Anliegen. Ich verarbeiten Ihre Daten daher ausschließlich auf Grundlage der gesetzlichen Bestimmungen (DSGVO, TKG 2003). In diesen Datenschutzinformationen informiere ich Sie über die wichtigsten Aspekte der Datenverarbeitung im Rahmen meiner Websites. Wenn Sie per Formular auf der Website oder per E-Mail Kontakt mit mir aufnehmen, werden Ihre angegebenen Daten zwecks Bearbeitung der Anfrage und für den Fall von Anschlussfragen beimir gespeichert. Diese Daten gebe ich nicht ohne Ihre Einwilligung weiter. Meine Website verwendet so genannte Cookies. Dabei handelt es sich um kleine Textdateien, die mit Hilfe des Browsers auf Ihrem Endgerät abgelegt werden. Sie richten keinen Schaden an. Ich nutzen Cookies dazu, mein Angebot nutzerfreundlich zu gestalten. Einige Cookies bleiben auf Ihrem Endgerät gespeichert, bis Sie diese löschen. Sie ermöglichen es mir, Ihren Browser beim nächsten Besuch wiederzuerkennen. Bei der Deaktivierung von Cookies kann die Funktionalität meiner Websites eingeschränkt sein. Meine Website verwendet Funktionen des Webanalysedienstes Google Analytics. Dazu werden Cookies verwendet, die eine Analyse der Benutzung der Website durch Ihre Benutzer ermöglicht. Die dadurch erzeugten Informationen werden auf den Server des Anbieters übertragen und dort gespeichert. Google Analytics ist ein Produkt von Google LLC, Mountain View, California 94043, USA. Google LLC ist unter dem „Privacy-Shield-Abkommen“ zertifiziert und garantiert damit, das europäische Datenschutzrecht einzuhalten. Landkarten sind über den Webdienst „Google Maps“ des Anbieters Google LLC, Mountain View, California 94043, USA, eingebunden. Schriftarten des Anbieters Google LLC, Mountain View, California 94043, USA, sind zum Teil eingebunden. Zur Erkennung von automatisierten Eingaben in Onlineformularen binde ich das Produkt ReCaptcha des Anbieters Google LLC, Mountain View, California 94043, USA, ein. Sie haben die Möglichkeit, über meine Websites meinen Newsletter zu abonnieren. Hierfür benötige ich Ihre E-Mail-Adresse und ihre Erklärung, dass Sie mit dem Bezug des Newsletters einverstanden sind. Um Sie zielgerichtet mit Informationen zu versorgen, erhebe und verarbeite ich außerdem freiwillig gemachte Angaben, etwa zu Interessengebieten und Postleitzahl. 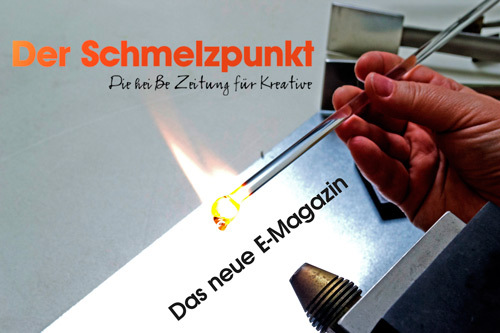 Sobald Sie sich für den Newsletter angemeldet haben, sende ich Ihnen ein Bestätigungs-E-Mail mit einem Link zur Bestätigung der Anmeldung. Das Abo des Newsletters können Sie jederzeit stornieren. Senden Sie Ihre Stornierung bitte an folgende E-Mail-Adresse: office@vetromagic.at. Ich lösche anschließend umgehend Ihre Daten im Zusammenhang mit dem Newsletter-Versand. Der Versanddienstleister wird auf Grundlage meiner berechtigten Interessen gem. Art. 6 Abs. 1 lit. f DSGVO und eines Auftragsverarbeitungsvertrages gem. Art. 28 Abs. 3 S. 1 DSGVO eingesetzt. Der Versanddienstleister kann die Daten der Empfänger in pseudonymer Form zur Optimierung oder Verbesserung der eigenen Services nutzen, z.B. zur technischen Optimierung des Versandes und der Darstellung der Newsletter oder für statistische Zwecke verwenden. Der Versanddienstleister nutzt die Daten unserer Newsletterempfänger jedoch nicht, um diese selbst anzuschreiben oder diese Daten an Dritte weiterzugeben. Im Rahmen meiner allgemeinen Verwaltungsaufgaben, der Befolgung gesetzlichen Pflichten sowie der Organisation meines Betriebes verarbeite ich dieselben Daten, die ich im Rahmen der Erbringung meiner vertraglichen Leistungen verarbeite. Die Gesetzliche Grundlage hierzu bildet Artikel 6 Abs. 1 lit. c. DSGVO, Art. 6 Abs. 1 lit. f. DSGVO. Davon betroffen sind sowohl Kunden, Interessenten, Geschäftspartner als auch Websitebesucher. Ich übermittele hierbei Rechnungsdaten an meinen Steuerberater und ggf an die Finanzverwaltung und Inkassounternehmen. Auf Grundlage meiner betriebswirtschaftlichen Interessen speichere ich Kontaktdaten zu Lieferanten und sonstigen Geschäftspartnern zum Zwecke eventueller späterer Kontaktaufnahme. Unternehmensbezogene Daten speichere ich grundsätzlich dauerhaft. Die Löschung der Daten im Hinblick auf meine Leistungen und die vertragliche Kommunikation erfolgt nach dem Ablauf der steuerrechtlichen Aufbewahrungsfrist (7 Jahre) bzw dem Ablauf der Produkthaftung (10 Jahre). Auf Grundlage meiner berechtigten Interessen im Sinne des Art. 6 Abs. 1 lit. f. DSGVO protokolliere ich jeden Zugriff auf die Server, die unsere Dienste betreiben innerhalb sg Serverlogfiles. Dazu zählen die abgerufene URL, das Datum und Uhrzeit des Abrufs, die übertragene Datenmenge, der Status der Übertragung, der Name des Browsers samt Versionsbezeichnung, das verwendete Betriebssystem, die zuvor besuchte URL und die IP-Adresse des Besuchers. Diese Informationen werden für die Dauer von maximal 7 Tagen zB zur Klärung von Hacking oder Missbrauch aus Sicherheitsgründen gespeichert und danach gelöscht. Falls eine weitere Aufbewahrung erforderlich ist, werden sie bis zur endgültigen Klärung des jeweiligen Vorfalls archiviert. Ich weise darauf hin, dass zum Zweck des einfacheren Einkaufsvorganges und zur späteren Vertragsabwicklung vom Webshop-Betreiber im Rahmen von Cookies die IP-Daten des Anschlussinhabers gespeichert werden, ebenso wie Name und Anschrift und ggf. die Lieferadresse des Käufers. Darüber hinaus wird zum Zweck der Vertragsabwicklung der Verlauf der bestellten Waren bei mir gespeichert. Die von Ihnen bereitgestellten Daten sind zur Vertragserfüllung bzw zur Durchführung vorvertraglicher Maßnahmen erforderlich. Ohne diese Daten kann ich den Vertrag mit Ihnen nicht abschließen. Eine Datenübermittlung an Dritte erfolgt nicht, mit Ausnahme der Übermittlung der Kreditkartendaten/Paypaldaten an die abwickelnden Bankinstitute/Zahlungsdienstleister zum Zwecke der Abbuchung des Einkaufspreises. An das von mir beauftragte Transportunternehmen/Versandunternehmen zur Zustellung der Ware. Dem Transportunternehmen/Versandunternehmen werden darüberhinaus Name, Versandadresse sowie Telefonnummer und Emailadresse (falls Kontaktaufnahme im Zuge des Versands nötig ist) zur Verfügung gestellt. Sowie an meinen Steuerberater zur Erfüllung meiner steuerrechtlichen Verpflichtungen.